If you are looking for a luxurious SUV that isn't afraid to get dirty, you should check out the 2015 Toyota Land Cruiser. If you are in Deerfield Beach, Weston, or Hollywood, FL you should head to Lipton Toyota in Fort Lauderdale and take one for a test drive. 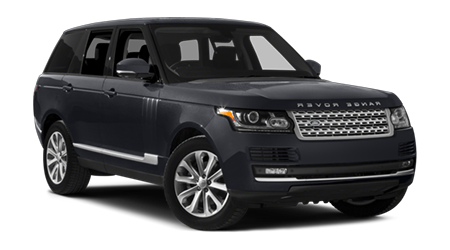 Land Rover's 2015 Range Rover is also luxurious and off-road ready, but when you compare the 2 its premium price just doesn't seem justified. Even if you are made of money, the nearly $10,000 difference in base price between these 2 SUVs can't be ignored. And at that price, the Toyota Land Cruiser is fully loaded, with no factory options available. The Land Rover at the base price has 3 higher trim levels available, and a whole list of options that cost extra. The clear winner is the Land Cruiser, with way more bang for your buck. With its premium price and similar size, the Range Rover lacks a very important feature the Land Cruiser has standard; 3 row seating for 8. Range Rover is just 2" shorter in length, yet even in its long wheelbase form, it only has seating for 5 at the most. Looking at the specifications you may think the Range Rover makes up for it with a much bigger 32 cubic feet of cargo space compared to 16 for the Land Cruiser, but fold up the 3rd row and the Toyota 11 cubic feet more. 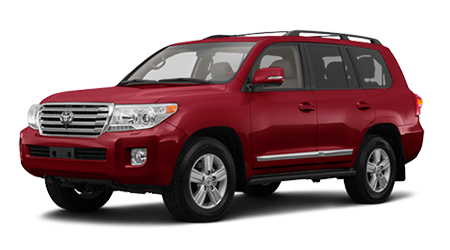 The 2015 Toyota Land Cruiser is their flagship SUV and features luxury, and off-road ability that is hard to equal anywhere. Come see for yourself at Lipton Toyota in Ft. Lauderdale, FL and we bet you'll be impressed at how far off-road you can go with this much luxury.